Coarse and Fine Grater – Helps you choose coarse and very fine grating and does not hurts your fingers. 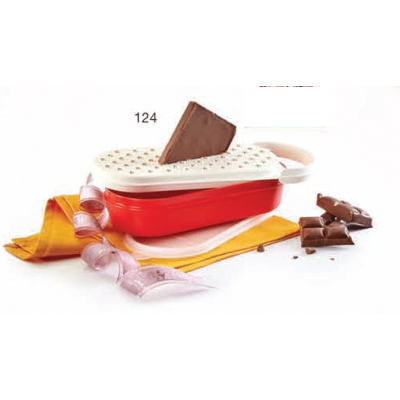 Recessed Side on the grater – allows juices to drain into dishes. Container with Seal – excellent for storing grated foods. Large Holes – easy to clean, resists food sticking to it.